ABG Commercial Realty has been exclusively retained to market for lease 3,186 square feet at The Shops at Wamesit Place, 345 Main Street in Tewksbury, MA. The Shops includes 28,000 square feet of retail space and has been leased to a mix of national tenants: Verizon, T-Mobile, Sprint and strong regional and local tenants: Carewell Urgent Care, AAA, RTN Federal Credit Union. Wamesit Place is located at the lighted interchange of the Walmart Supercenter and Main Street at Exit 38 of Interstate 495. 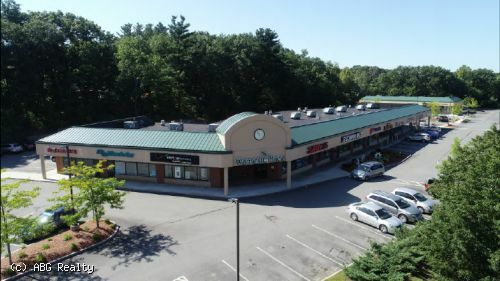 The location presents a unique retail opportunito be in a supremely located, regionally drawing, high quality shopping center in the midst of one of the Boston areas growing suburbs. This is an excellent opportunity for a variety of both national and local retail uses which will benefit from the shadow anchor by a Walmart Supercenter as well as Wamesit Place’s national and regional tenants.